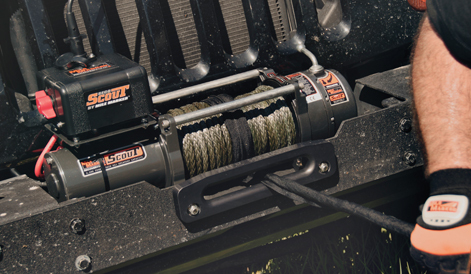 There is no doubt that the low cost and ease of fitment make electric winches a popular choice but they do have their limitations. 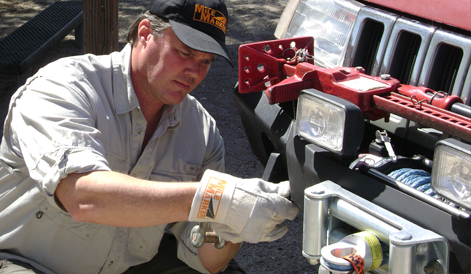 A good quality electric winch should retrieve you and your vehicle when you get stuck but what happens when you need a winch for longer or more regular periods of use, or more power for serious recovery work, or for professional and commercial use or competitive winch-challenge use? 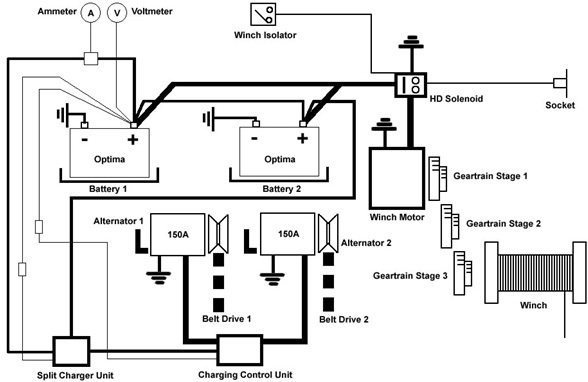 Attempting to improve the power or reliability of electric winches usually means spending large amounts of money on multi-battery systems with expensive control systems, all the time increasing water-sensitive complexity which threatens reliability. The high operating speeds of electric motors and the high temperatures produced also compromise their lifespan when used at full capacity. 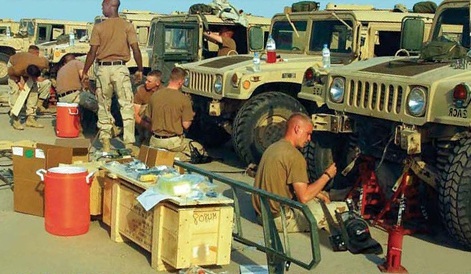 To illustrate the science, a car battery is capable of providing high amounts of power for just a very few minutes, i.e. to crank an engine, or, they will provide low power levels for a much longer period whilst being recharged from an alternator. 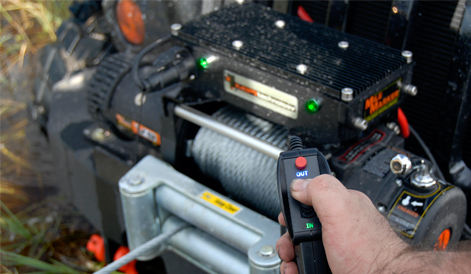 Electric winches require extreme levels of power 150-600amps (2 - 6 kW). As you might realise, 6 kilowatts produces very high temperatures. These temperatures severely limit motor duty-cycles, the length of time which a motor can safely operate. Conversely, slow running hydraulic motors as used on hydraulic winches don't generate high temperatures. They provide enormous amounts of power for an indefinite period, that's why they are the norm in heavy commercial and industrial applications. Also hydraulic winch systems are genuinely unaffected by water and therefore completely submersible. 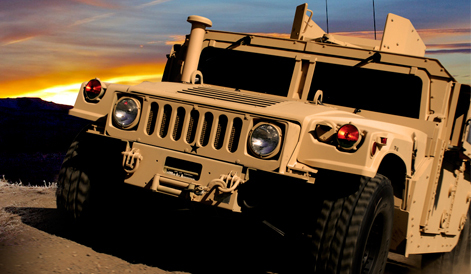 Torque versus Power - What's the difference? Electric motors are capable of producing high amounts of power, but for winches, the important figure is the 'torque' rating. Torque (the turning force) rapidly drops off with electric motors as the load increases compared to hydraulic motor principles. This is due to the characteristics of the way they work. Hydraulic motors are different, as the torque produced is constant. 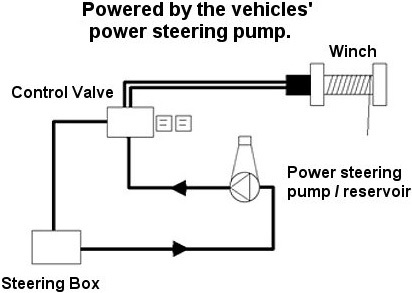 The power can be varied by the size of the pump, but the available torque figure never varies, it remains constant. The capability of any motor to turn a winch drum lies in the 'Torque' available, the 'Power' only varies the rate at which it works. With electric motors, the linear relationship between torque and speed is inversely proportional, the torque figures for electric motors decrease with rpm. gauge to the system and you know exactly what is going on. • Waterproofing - Hydraulic systems by definition have to be waterproof as the system cannot let fluid out, or air into the system. Mile Marker hydraulic winches are actually fully submersible.